On Thursday at 1 pm, the Full Agency will convene for Executive Director Terry Martino’s monthly report. At 1:30 pm, the Regulatory Programs Committee will consider approval for the NYS Department of Environmental Conservation’s variance proposal for its Frontier Town Campground, Equestrian and Day Use Area in the Town of North Hudson, Essex County. The project involves trail enhancements, accessible trails, viewpoints, construction of stone pedestrian steps and a timber foot bridge within 150 feet of the Schroon River. 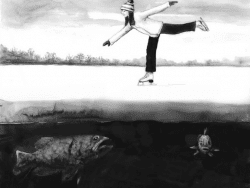 At 2:30 pm, the Park Ecology Committee will hear a presentation from Paul Smith’s professors Celia Evans, PhD, LeeAnn Sporn, PhD and Curt Stager, PhD on climate change in the Adirondacks and its potential impact to local communities and ecosystems. On Friday morning at 9 am, the State Land Committee will come to order to consider Adirondack Park State Land Master Plan conformance for the Saranac Lakes Wild Forest Unit Management Plan. At 10:15 am, the Full Agency will convene to take any necessary actions and hear member and Local Government Review Board comment. Meeting materials are available for download from the APA’s website. The meeting facility is wheelchair accessible. Provide any requests for specific accommodations to Keith P. McKeever at (518) 891-4050. The March Agency Meeting is scheduled for March 14-15, 2019, at the Adirondack Park Agency Headquarters in Ray Brook. 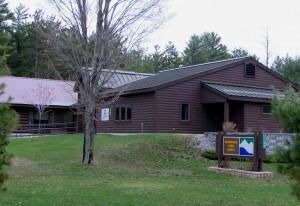 Photo: Adirondack Park Agency (APA) Building in Ray Brook.